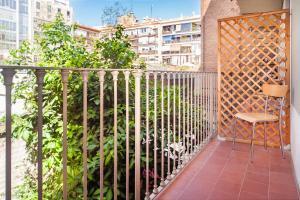 Situated in the centre of Barcelona, Casp-er Guest House features free WiFi and air-conditioning. Plaza Catalunya is a 10-minute walk from the house. The bedrooms have a safe, complimentary tea/coffee and a private bathroom with free toiletries and hairdryer. Towels and bed linen are provided and daily room cleaning is provided. Some rooms come with city view. Guests can make use of a shared area completed with a microwave and a kettle. 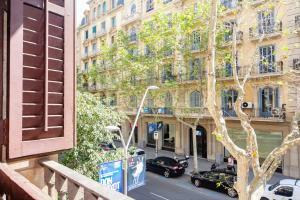 Passeig de Gracia shopping street is 650 meters from the property. 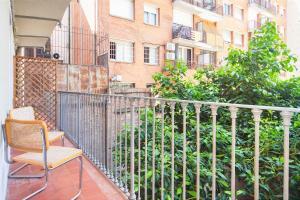 Arco del Triunfo is an 8-minute walk away. Urquinaona metro station is within 4 minutes’ walk. Overlooking a courtyard, this room comes with a private bathroom with a hairdryer and free toiletries. This family room can accommodates up to 3 adults. It is equipped with a flat-screen TV and wardrobe. The private bathroom comes with a shower and hairdryer. Towels and bed linen are also provided. Rate: € 59.00 ... € 112.00; select dates below to get current rates. This interior facing room has heating and air conditioning. It is equipped with a flat-screen TV and wardrobe. The private bathroom comes with a shower and hairdryer. Towels and bed linen are also provided. Rate: € 39.00 ... € 96.00; select dates below to get current rates. This room overlooks a city street and has heating and air conditioning. It is equipped with a flat-screen TV and wardrobe. The private bathroom comes with a shower and hairdryer. Towels and bed linen are also provided.